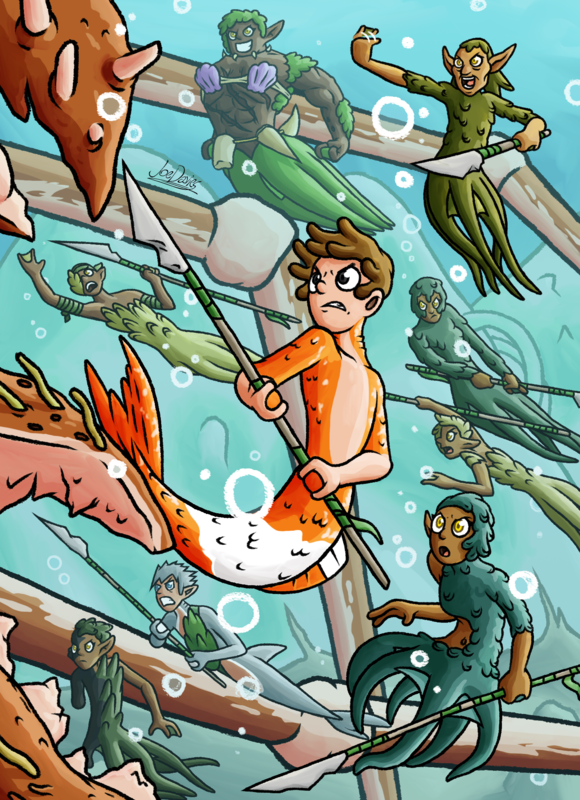 This is an illustration done for my friend Wendy Martin of her comic; Kappa. Her comic entails an undersea war between a race called the Nakki and their enemies; giant crabs. And helping them is a merman, whose scales shine and glisten like treasure; Kappa.